My great-aunt gifted me what I think is a marriage of three items. 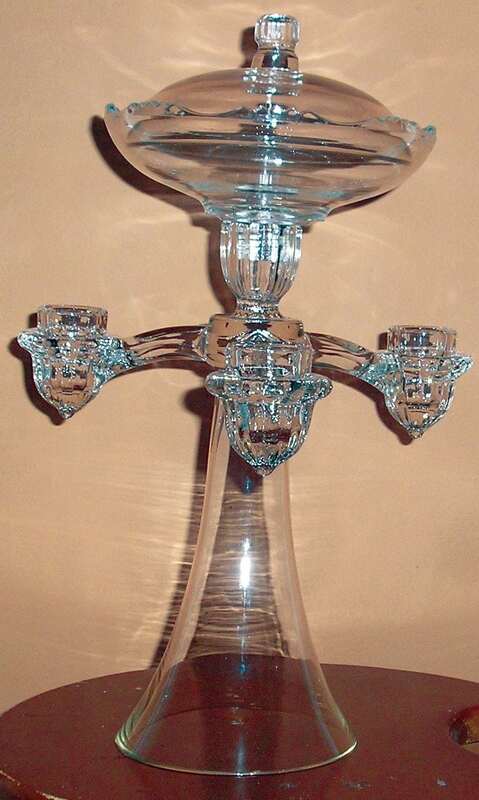 I think you have some of the parts to a Cambridge Glass nine piece crystal centerpiece for vases, candles and bowls. It makes more sense if you turn the whole thing upside down. You may not have the correct base. The too-small serrated edge top isn’t original. There were three of the smooth-edge bowls like the one you have. They fit into the taper candle holders to hold fruit, nuts or seasonal decorations. The large vase actually pegged into a central socket on the top. And there was another attachment of three ring-shaped holders for small trumpet-shaped vases. Combination pieces were popular in the 1940s when this Cambridge ARMS Epergne Candelabra was made and marked with oval paper labels. Certainly parts and labels have washed away or broken in the last 75 years. While researching the piece, I read a few complaints about unstable assembly. This may explain the missing parts. Bowls, vases and rings sell as spare parts for $5 to $15. 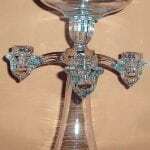 A complete centerpiece sells for $50 to $85. You have a good start but especially need the base in order to move forward with your holiday decorating plans. 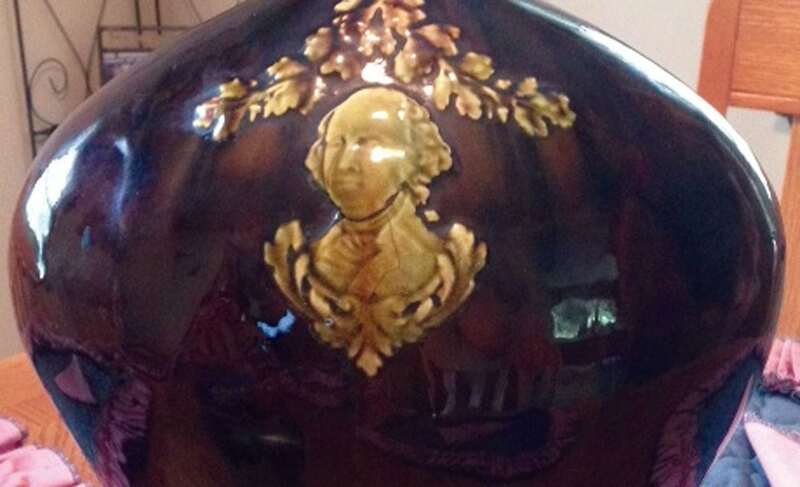 I am sending pictures of a rather large vase that has been in my father-in-law’s family for at least 80-100 years. The gold raised picture is George Washington. The photo with the bottle gives an idea of how large the vase is. There are no markings of any kind. Any information you could offer would be appreciated. Made in Zanesville, Ohio, in the 1890s, this vase was produced by Peters and Reed Pottery Company. 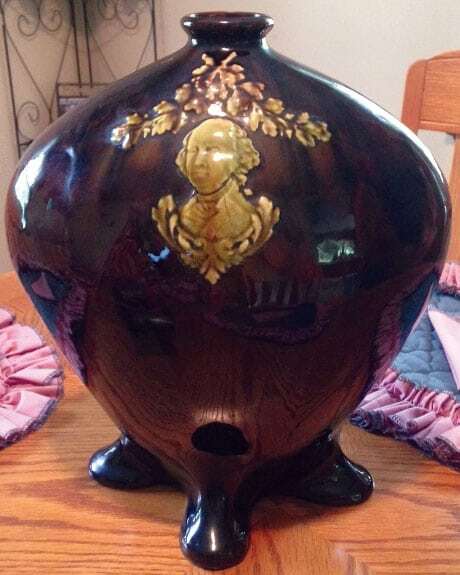 In addition to portraits of historical figures, the company used the same standard brown glazed pottery decorated with draping laurel and flowers. Various shapes were used, and many had unusually small openings and footed bases like your piece. 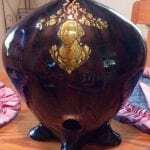 I saw the exact shape and face as a lamp base for sale at $50. Similar pieces, not yet as lamps, are offered for $12 to $55. 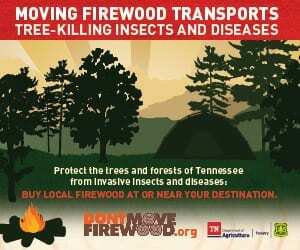 I really enjoy your part of The Tennessee Magazine. I always look to see the pictures of antiques. I know I will see something I have thrown away or sold for $1 that’s now worth hundreds! 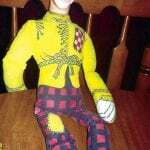 I would love information on my checkerboard doll. It has a little damage on the hat. 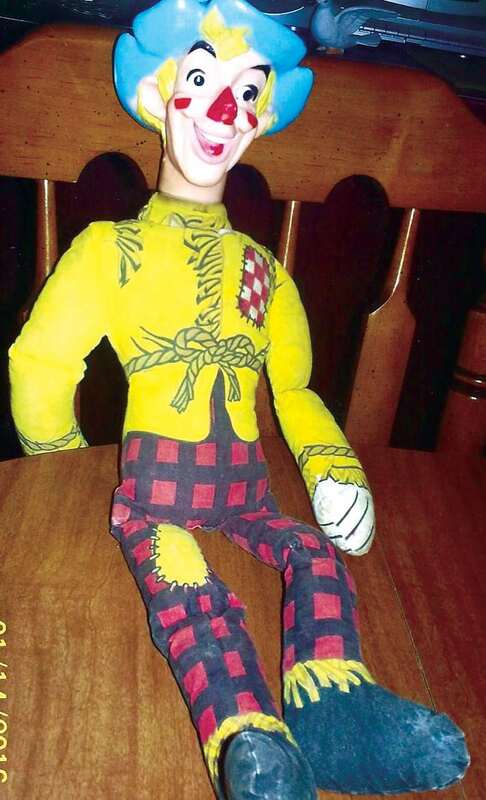 Ralston CHEX cereal offered this cloth doll with a rubber head in 1965. He’s “The Wizard of Oz” scarecrow! The blue straw hat may have thrown you off. Even slightly tattered, he sells for $10 to $22. I think you had to accumulate box parts or “premiums” to send in and claim your doll. A comic page in the newspaper promoted the doll. In it, the scarecrow says, “This is the morning to reach for CHEX.” The colorful ad is for sale online for $15.